Almost half of the world's seafood is ruined in transport and never makes it to people's plates. Can one restaurant group reverse some of the waste? 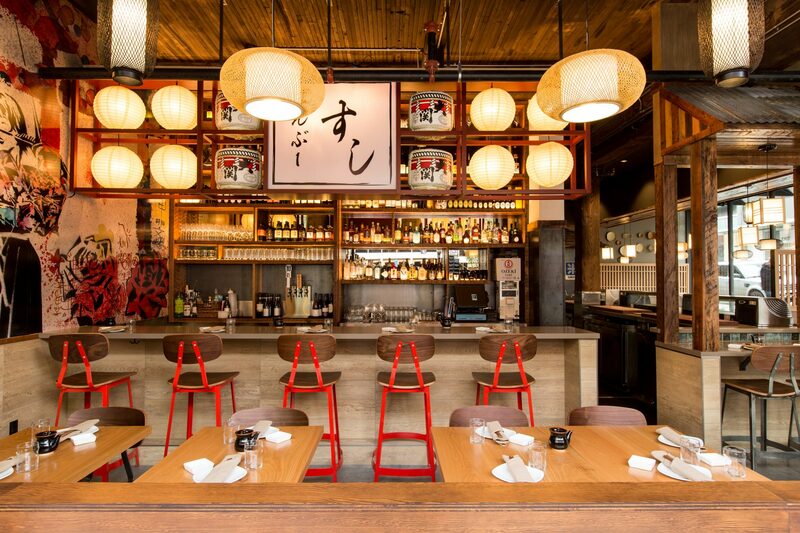 At the Northwest District location of Portland's Bamboo Sushi, the vibe is energetic and casual, yet modern in the way you want a sushi restaurant to be. The menu offers imaginitive sushi dishes and sides that break from Japanese-in-America orthodoxy (so no California rolls, though they’ll make you one if you ask): think house-smoked trout covered in black garlic barbecue sauce; seasoned crab rolls with apple, cucumber, and fried sage; and seared albacore from Oregon. 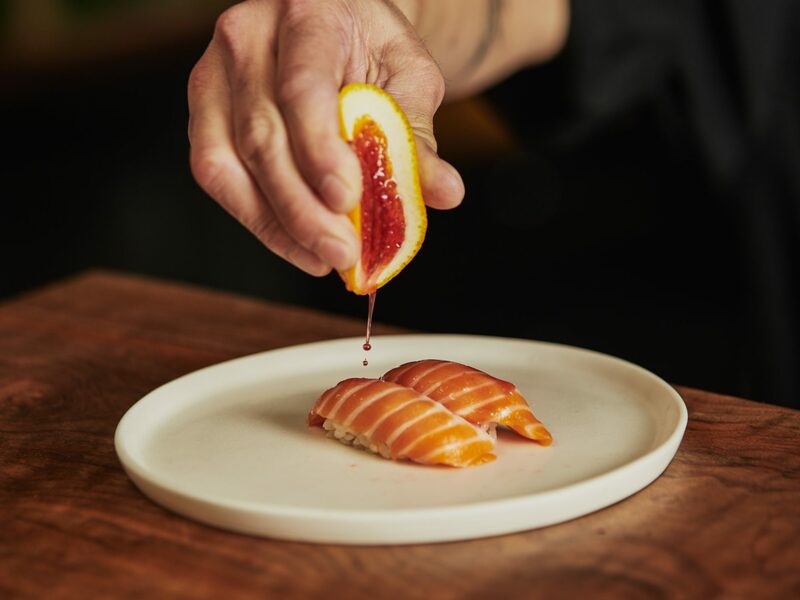 The first restaurant to be verified as "sustainable" by the Monterey Bay Aquarium, the popular Portland sushi chain labels seafood with detailed origin and catch-method information, offering high-quality, ethically sourced seafood at unusually accessible prices. 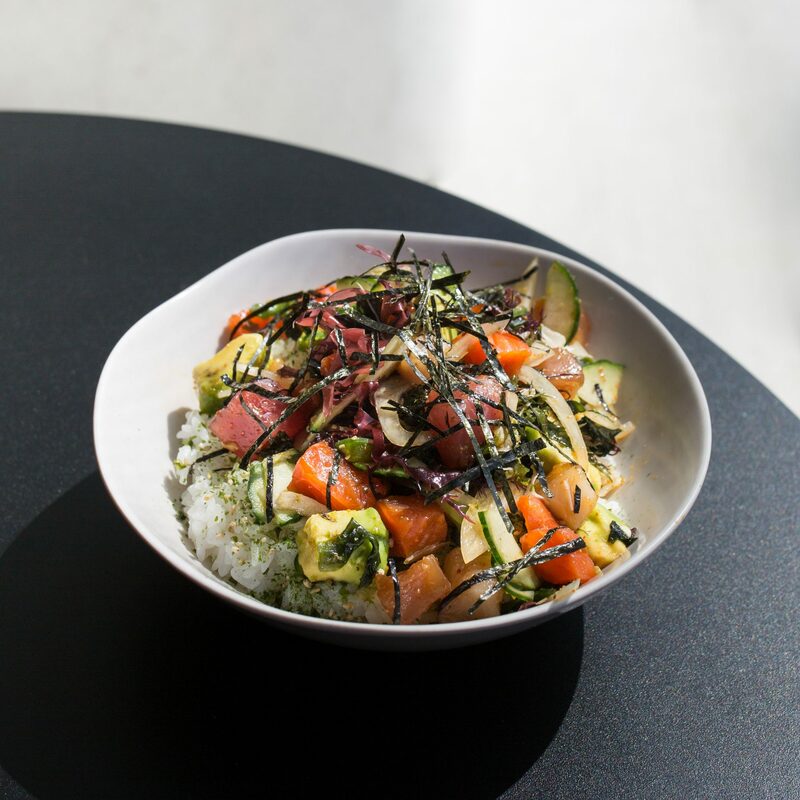 Its sister poke restaurant, Quickfish, is as fast-growing as Bamboo, with out-of-state locations on the way. “When I started the restaurants, the goal was: 'How could I build 1,000 of these?' You can’t have impact if you don’t have scale ... as much as any restaurateur or chef wants to tout themselves as a chain agent, and they can be in their corner of the world,” says Kristofor Lofgren, the CEO of Sustainable Restaurant Group, which he founded in 2009. There are currently five locations of Bamboo Sushi in the Portland area, with more coming soon to Seattle and San Francisco, and one in Denver, Colorado. Quickfish has two Portland locations and one in Denver, as well. And they're probably going to take over the planet. In Oregon alone, Sustainable Restaurant Group has leveraged the company’s massive buying power—they're the largest purchaser of seafood in the state, at over one million pounds a year—to keep the prices of their seafood low. They buy such large quantities of seafood that they're able to negotiate special pricing from their producers and manufacturers, and it's even more cost-effective (and earth-friendly) because they work with producers who've found ways to minimize some of the enormous waste typically attached to the transportation of seafood—an estimated thirty to fifty percent of seafood never makes it to people’s plates because it gets lost in transport or goes bad. "We lose almost nothing in transport," says Lofgren. "A lot of companies have a lot of waste and have to pay for that waste." Indeed, the global seafood supply chain is unusually complicated and wasteful, with ineffective storage methods relatively common, particularly in developing countries where cold storage is harder to come by. As Lofgren sees it, the whole business of seafood is broken. Unlike the meat we buy, for which we usually know the farm and type of feed, seafood is harder to track and label, as it's often produced by small mom-and-pop or privately held companies that “find an area of the ocean they want to fish, grab what they can, and bring it back to port; they may or may not have permits,” he says. In addition to partnering with producers that meet their rigorous sustainability metrics (as recognized by Monterey Bay Aquarium and the Marine Stewardship Council), Sustainable Restaurant Group has been working with fisherman globally to help develop the cold-storage process—to help eliminate some of this expensive, needless waste. You'll notice many items on Bamboo Sushi's menu, including the "frozen-at-sea" wild Coho salmon, utilize fish that was frozen, which can be the freshest fish you’ll find as it's protected during transit, despite the misconception that frozen food is somehow less fresh. In reality, freezing seafood minimizes waste and maintains quality, preserving the cell structure at its peak freshness; the process can even increase flavor, thanks to fat migration. Take red meat tuna, which they want to have available on sushi and poke menus. The company has very specific requirements for how it should be caught—hand-caught on a hand-line or day-soak line, resulting in little-to-no bycatch. Their little backyard is growing. As Bamboo Sushi and Quickfish expand in Oregon, plans for California expansions are solidifying—they’ve gotten approved for three sites in the Bay Area: East Bay, San Francisco, and Silicon Valley. And there will be plans for Quickfish to open in California once they finish saturating Oregon. Clearly, Lofgren is hell-bent on upending the whole system. "How can we find the best fish in the world from the best-managed fisheries, and the best meat from ranchers and produce from farmers, and buy all of their product from them, so they’re able to have a full-use lifecycle of their product, and grow those businesses with them?" asks Lofgren. "We'd like to be throughout the world."